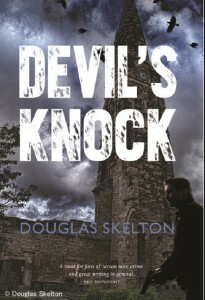 Douglas Skelton specialises in non-fiction and fiction from the darker side of our world. His non-fiction charts the true life exploits of murderers, criminals and cause celebres. 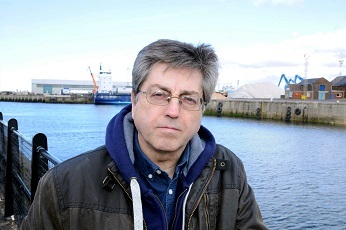 HIs fiction focuses on the underbelly of Glasgow – Scotland’s biggest, industrial and working-class city; with a history of tobacco barons, Victorian elegance, manufacturing, gangs, culture and the Commonwealth Games. It’s a hard but sentimental city. It’s a city with a fierce and abiding heart. Okay, so 14 published books in, what have I learned? Well, first if you don’t write it, the book won’t happen. Sounds simple, doesn’t it? But you’d be amazed how many times I’ve thought of something, started it then abandoned it. The poor things lie there, half-formed, never seeing the light of day. Perhaps they were never worthy in the first place. Perhaps they were too ambitious. Perhaps they just weren’t good enough and I knew it. I speak to so many people who have begun one book, got so far, then been side-tracked by another idea which they felt they just had to get down. And they didn’t finish that one either. Here’s my tip number one – finish what you start. If it’s working, if you’re stimulated by the original notion, if the words are flowing, keep at it. Yes, you’ve had another great idea but don’t let it lure you away with its seductive wiles. Write the idea down but keep on with the job in hand. That other idea isn’t going anywhere, you’ll get to it. The best bit of advice I’ve ever been given was from the late Jack Gerson, who’d had a successful career in TV scriptwriting and was also a prolific author. All he said was, simply, ‘Get it done.’ That’s it. He said that there were so many distractions to writers – and back then social media was watching the telly with pals in the pub – that it sometimes seems as if there are mines and mantraps around your desk. We don’t need to complicate our lives by trying to spin too many plates because it’s certain they’ll all crash. He told me to get a draft done, no matter what. Hemingway said all first drafts are crap and he was right. Don’t believe those writers who say their first attempt is what ended up on the shelves. A first draft is a little more than a blueprint. Yes, there can be passages that you wrote in the blistering heat of inspiration that you may not need to touch. Well, maybe not much. But overall, a first draft is little more than getting the spine of your story straight. There may be gaps. There may be whole sections that won’t make it to the final draft. There may be trouble ahead. But keep going until you have that first draft complete. Because then the work really starts. Tip Number two? Never be afraid to cut. Newsflash – you’re not perfect. Not everything you do is wonderful, no matter what your mother/wife/husband/budgie says. Some things, things you love, might not work. William Faulkner called it killing your darlings and we all have to do it. You might not have the stomach to do it yourself but it if really isn’t working then a good editor will do it for you. Tip number three is try to stay positive. Those who know me are smiling now because I am prone to periods of self-doubt, if not self-loathing. Being a writer is, by necessity, a solitary occupation and that’s when the black dog can come padding in and tell you that you’re useless, your work is rubbish, you’ll never amount to anything. You may pat that dog on the head, embrace him and tell him he’s right. But eventually you have to throw a stick far into the bushes and let him look for it. If you don’t have self-belief you ain’t got nothin’. Yes, you’ll be knocked down, knocked back and just plain knocked. And you may lie down for a while, you may even vow that you’ll never write again but sooner or later you’ve got to pick yourself up, dust yourself down and start all over again. Because the urge – the need – to tell stories is something that never dies. In the end there is one truth. Everyone will talk about how they have a book in them. 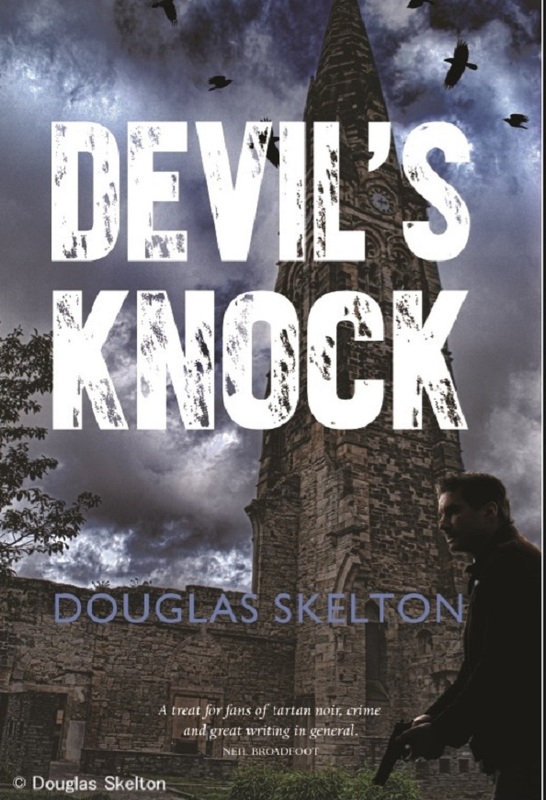 This entry was posted in Uncategorised and tagged author, books, characters, crime fiction, Douglas Skelton, fiction, novels, writing, writing advice, writing tips on 24th June 2015 by MJM-Ink.